The membrane air dryer with maintenance unit protects the high-frequency spindle and pneumatic valves from damage due to moist compressed air. 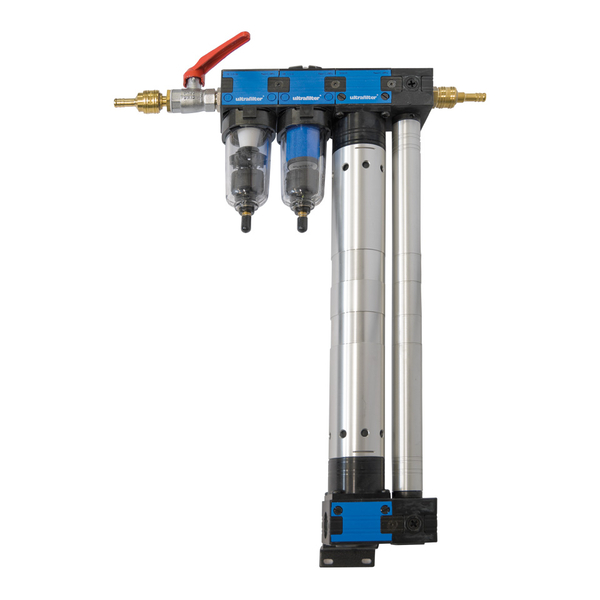 The air dryer is pneumatically operated and requires no connections of its own. It is simply inserted in the compressed air line. For this reason, the air dryer is especially suitable where no other connection option exists. The membrane draws the moisture out of the compressed air and releases it again on the atmosphere side. To keep the membrane safely dry, a part of the dried air is branched off and conducted to the outside via the membrane. This results in air consumption of about 10% of the nominal flow rate.